If you thought leading a team or organization meant simply creating and implementing a financial plan, delegating responsibility, and watching the bottom line, well, you're only partly right. True leadership comes from within, a place of deep calm and focus, that allows you to respond to any situation as it arises. In Mindful Leadership, you'll learn how to draw on those inner reserves through Mindfulness Meditation, a tool you can use to achieve focus and clarity, reduce stress, and develop the presence of mind to meet any number of challenges. The book opens up a world of meditation exercises that can be done anywhere, anytime (no chanting or patchouli required!) and that are the gateway to improved judgment and decision making, improved time management, enhanced team effectiveness, greater productivity, and more on-the-job inspiration and innovation. Offering essential skills for both life and work, Mindful Leadership shows how it's possible to successfully lead a team, an entire organization—or just yourself. Maria Gonzalez, BCom, MBA, is a 30-year business veteran as a corporate executive and entrepreneur who believes that mindfulness transforms lives and organizations, and that it has the potential to transform society. She has been meditating regularly since 1991 and teaching mindfulness since 2002. She applies mindfulness to all aspects of her life, both personally and professionally. As founder and president of Argonauta Strategic Alliances Consulting Inc., she ensures that mindfulness is indistinguishable from her business, whether negotiating complex strategic alliances, doing strategy consulting, or coaching business leaders, professionals, entire teams, or organizations in mindful leadership. 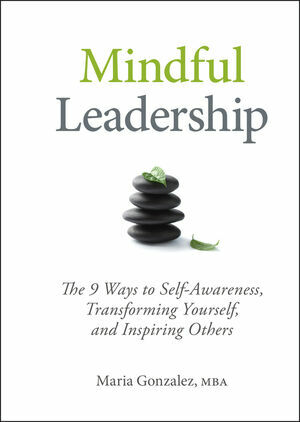 Mindful Leadership is Maria's second book. She is the coauthor of the award-winning The Mindful Investor (Wiley, 2010). You can visit her online at www.argonautaconsulting.com; read her blog at www.argonautaconsulting.com/blog; and access her Mindful Leadership App for smartphones and tablets.